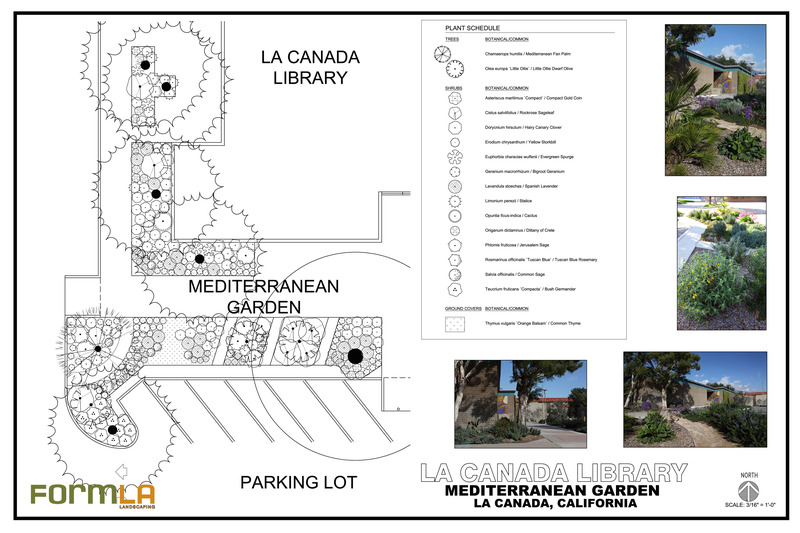 In 2007 LCVB began a long term project at the La Canada Flintridge Public Library to transform the small garden areas surrounding the Library into a demonstration garden of five regions of the world with climates compatible with Los Angeles. 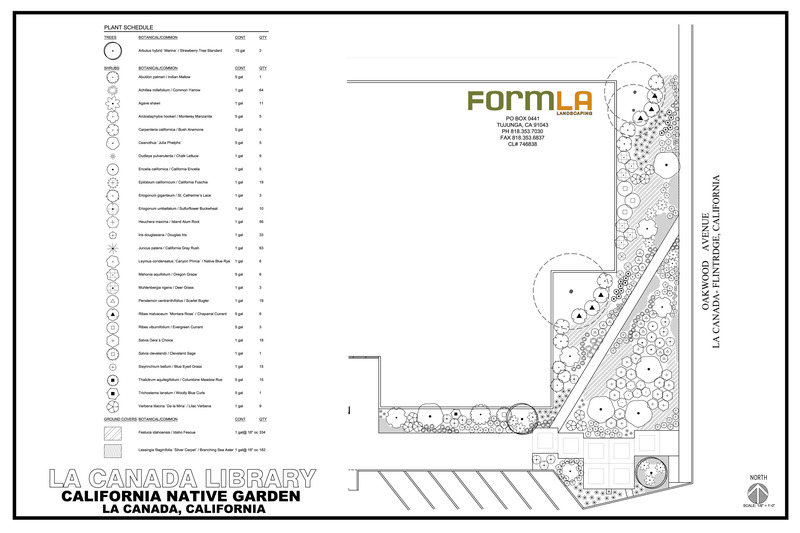 Working with the extremely talented team from Form LA led by Cassy Aoyagi, with tremendous support from our community members, generous grants from the City of La Canada Flintridge, and partnering with Los Angeles County, the five gardens have been completed and they have matured to become a beautiful and valuable resource for our Los Angeles area community. 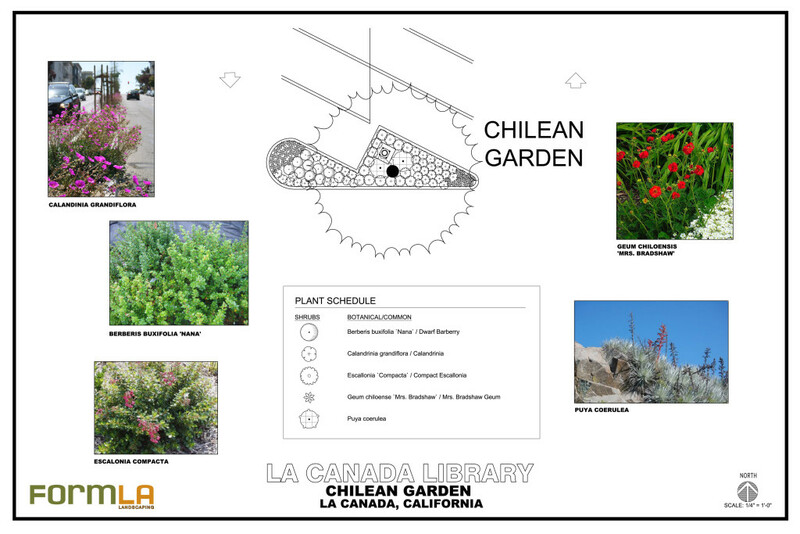 The gardens are a source of inspiration as well as information about how lush and interesting drought tolerant plantings can be. The gardens are constantly changing with different plants blooming and some new ones being added. They are open 24/7 and are a lovely place to visit whether early in the morning or for an after dinner stroll at any time of year. You are welcome! 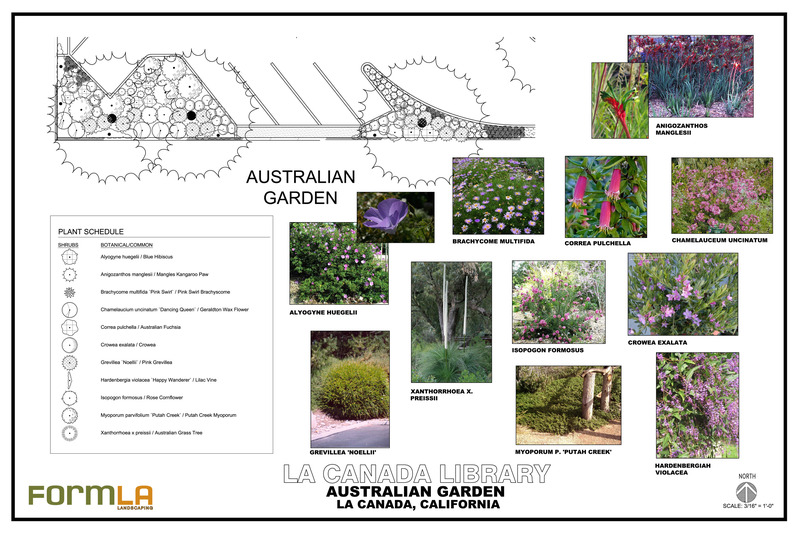 There are biannual opportunities to attend hands-on workshops sponsored by La Canada Valley Beautiful and Form LA to learn about maintaining drought tolerant gardens. 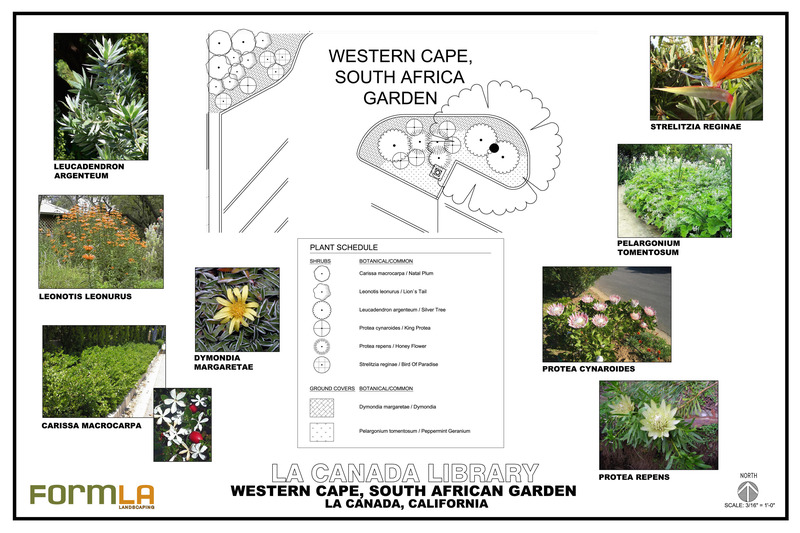 The workshops in the Spring and Fall are well attended by gardeners from all over Los Angeles, everyone is welcome to join us at these fun and informative events. Browse our pins on Pinterest.